We have received a nice little review of Rumores de orquesta in the Swedish music magazine Lira #01, 2013! Rio de la Plata Tango. I do not know if it’s a coincidence that 2012 has become a year of tango in Sweden, while New Tango Orquesta released tango for Tide. Not that Orquesta Tipica Tangarte are a new phenomenon, this Argentine-Swedish band formed in Malmö in 1999. It is rather that their newly released fourth CD Rumores de orquesta confirms my tango synthesis. 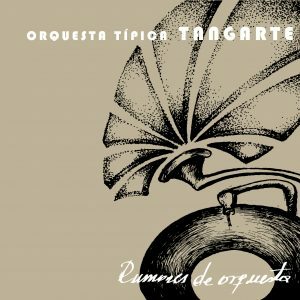 Orquesta Tipica Tangarte play a magical string-based tango as it since the birth of tango has been played and developed in Rio de la Plata, which we Swedes know as Carmencitas homeland. My references to Evert Taube, when I listen to Rumores de orquesta don’t stop there. Argentine Juan José Passo (yes, that is the group’s founder and bandoneonist Juanjos father) sings in a Taube-like way for instance in Los Cosos de al Lao. And just like Rolf Nilsén thought when he in Lira No. 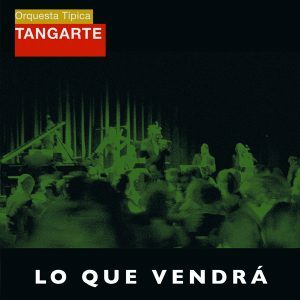 5-2007 reviewed Orquesta Tipica Tangarte’s last album Lo que vendrá, it’s the tracks where the older Passo sings that stick most. Mentioned should also be that the album was produced and released on violincellist Per Tidstrand’s label Monophon. Newer band(oneon) members are Lars Hansen from Copenhagen and Mercedes Krapovickas from Finland. Guest performers on the album are pianists Juan Esteban Cuacci and Cristian Zarate, and guitarist Leonardo Sanchez. Rumores the orquesta was the most passionate and strongest of tango CDs that came in 2012. We have received a nice little review of Rumores de orquesta in the Swedish music magazine Lira # 5 2007! Tango. Orquesta Tipica Tangarte is an Argentinean-Swedish tango orchestra that was formed in Malmö in 1999. The orchestra plays primarily the tango from Rio de la Plata, with a wide repertoire from the old-guard-tango onwards to the modern style. Now Tangarte have reached their third album after eight years together, and have also participated in international tango festivals even in Argentina, the homeland of tango. The music on the new album is composed by some of the big names in tango history during the first half of the 20th century and they are beautiful melodies. Tangarte are playing both for concerts and for dancing, but on the record media it is primarily the tracks where the orchestra´s nestor Juan José Passo sings with his characterful voice that stick to my mind. But also the tracks that have more original arrangements for the strings and the bandoneon linger on. It is a humble and a respectful recording, but at the same time ambitious and above all characterized by the love for tango. (Freely translated) from Swedish music magazine Lira nr 5 2007.